The Duracell Company and its trusted third parties (collectively “Duracell”) provide a variety of services on our websites using cookies. We place cookies on your device in order to provide you with personalised access to essential services, enhance website functionality and to deliver to you online ads that are tailored to your interests. These tailored ads are called Interest-Based Ads or Online Behavioural Advertising. 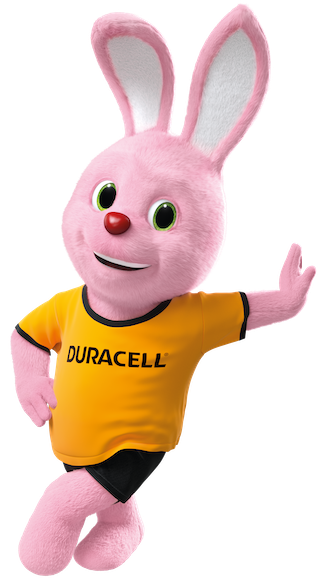 Duracell adheres to the European Interactive Digital Advertising Alliance Principles for Online Behavioural Advertising and Directive 2009/136/EC of the European Parliament. Cookies are small files placed on your computer or device by a website or mobile application. The cookie has a unique ID assigned to your device, but does not contain any of your personal information like name or email address. It helps to navigate from page to page on a website, provide secure connections, and remembers preferences from a previous visit, when you return. The Duracell emails you view and links you click from within the email.